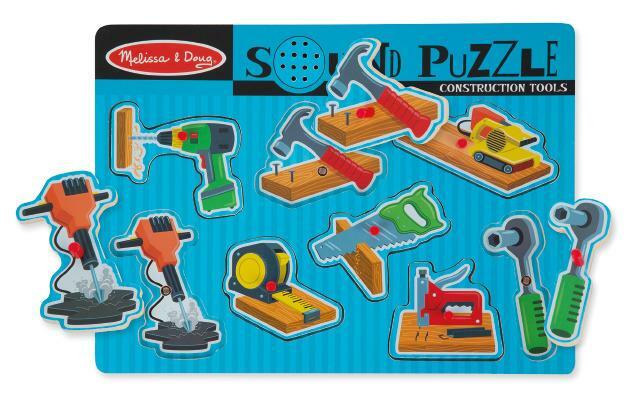 Featuring detailed images of favorite noisy construction tools, this wooden peg puzzle makes the sound of each tool when a piece is placed correctly in the puzzle board! Full-color, matching pictures are under each of the eight carved pieces, including a power drill, hammer, belt sander, jack hammer, tape measure, staple gun, and socket wrench. Dimensions: L: 11.75" x W: 8.75" x H: 0.75"